Wow, almost August already! Those of you who are teachers (and parents! ), there will come a time when August is no longer a frantic countdown to school, but opens up as a pleasant time for sewing, travel, and deck-sitting, I promise! 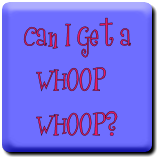 We are doing a little traveling, a little entertaining, and helping return DS to college, so my goals are modest, but I will enjoy the month. 1. 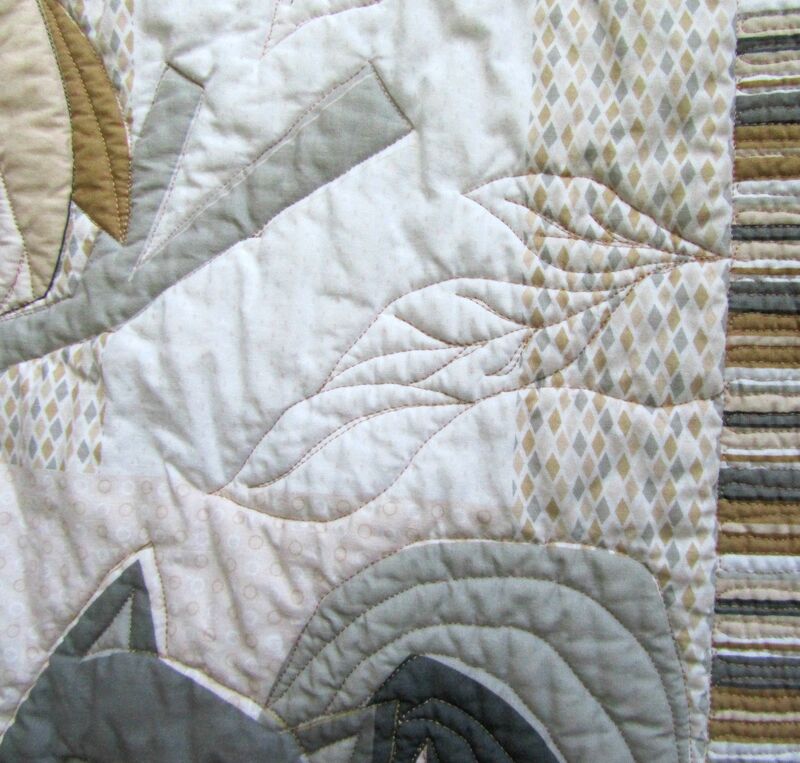 Finish the blue and gold quilt. Yes, this one! Really like how it turned out. 2. Attempt a photo transfer technique for a Coastal wall hanging. Yes. First attempt is pictured. We’ll see. 3. Get another leaders and enders project organized so that it is available when I’m piecing. Yes! And, see, I wrote a note, because it will be months till this is done and I have no memory. 4. 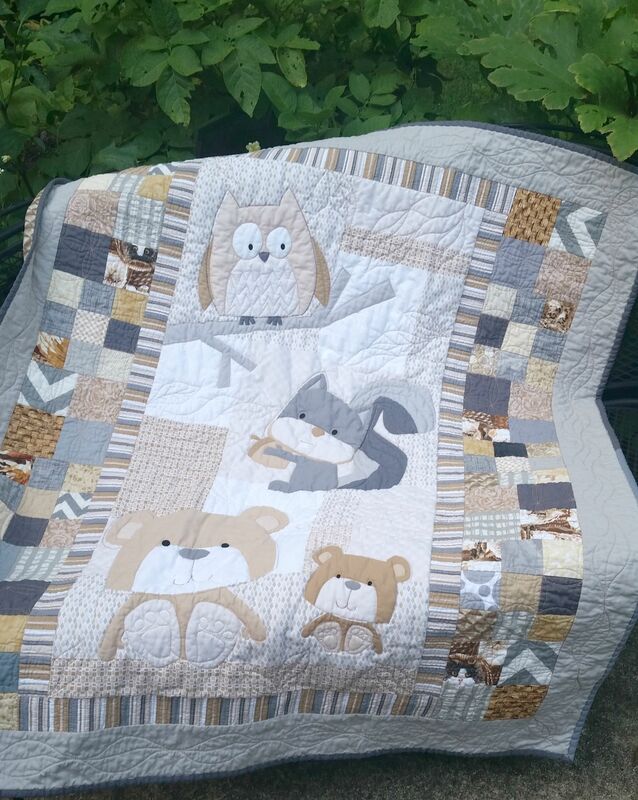 Make a baby quilt from an animal panel I purchased. Yep, right here! Yes, I made these goals! 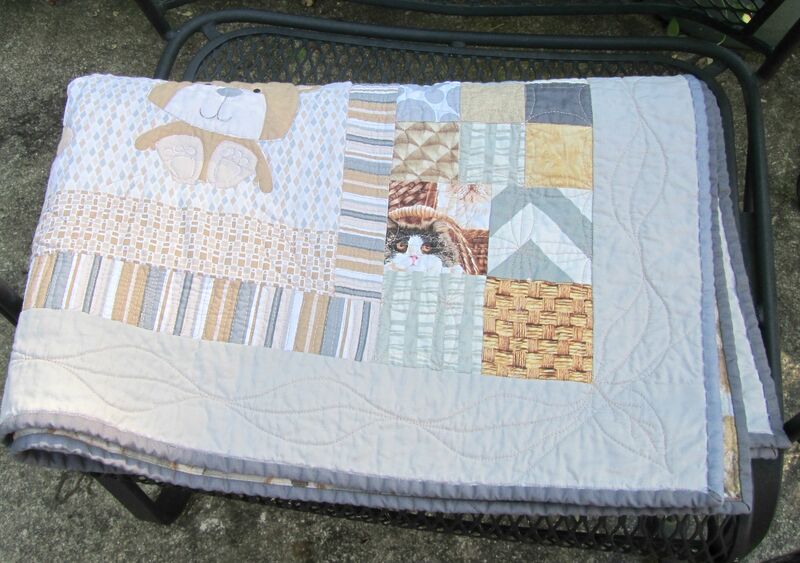 And this bonus quilt for donation/stash reduction. 1. 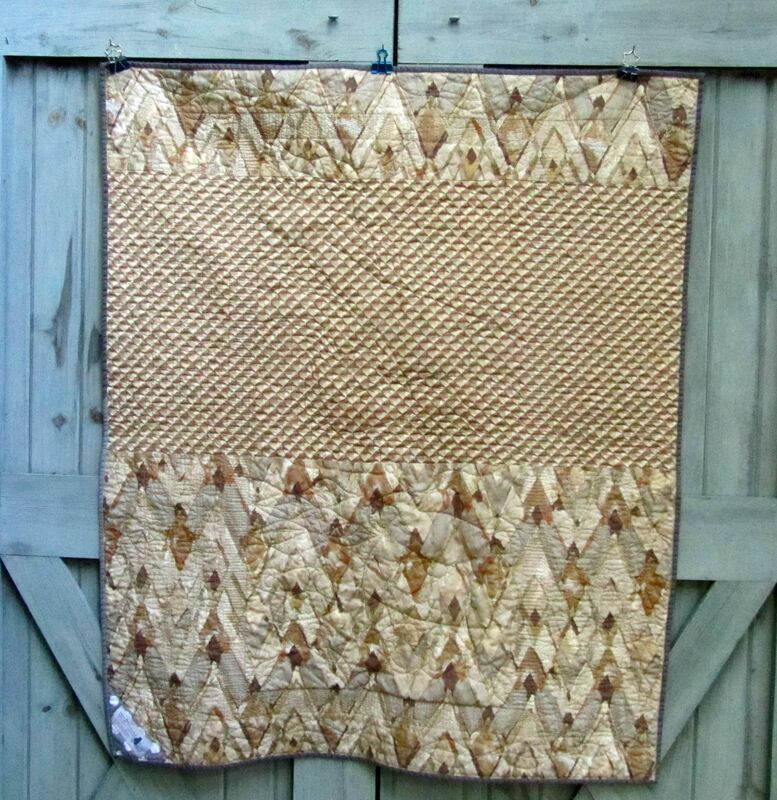 Complete coastal wall hanging. 2. Work on UFO geometric wall hanging. 3. 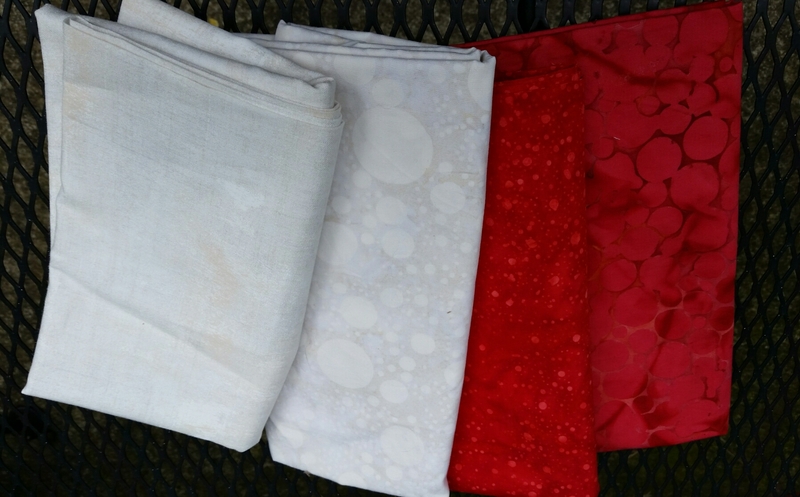 Make a top from my new Christmas fabrics. 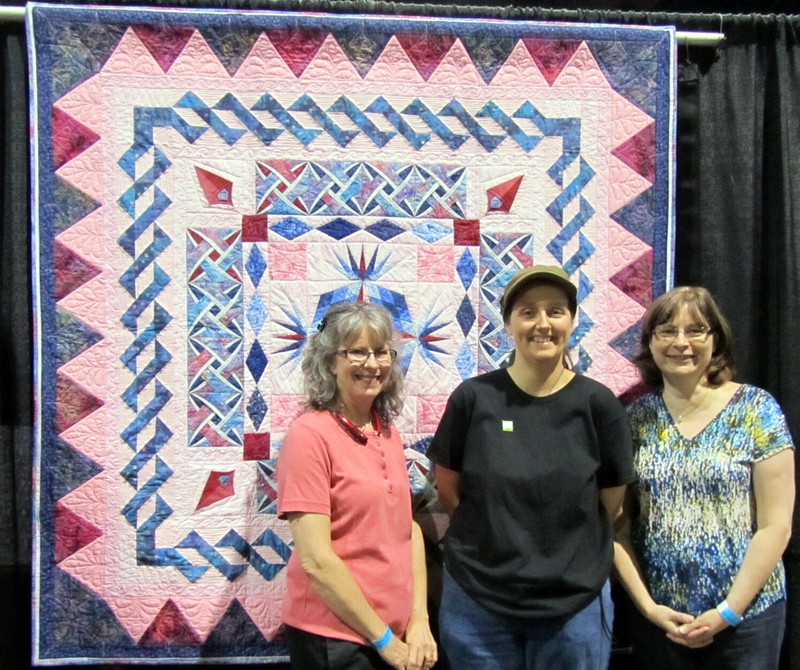 Looking at these tutorials: Four-Patch Stars and Big Star Quilt from Missouri Star. 4. Source little zippers for earbud pouches. How did you do on your goals this month? Eh, it’s summer! Cooler, more productive days are around the corner. Enjoy! Categories: Uncategorized | Tags: Evening in the Garden, goals, Valerie Root | Permalink. 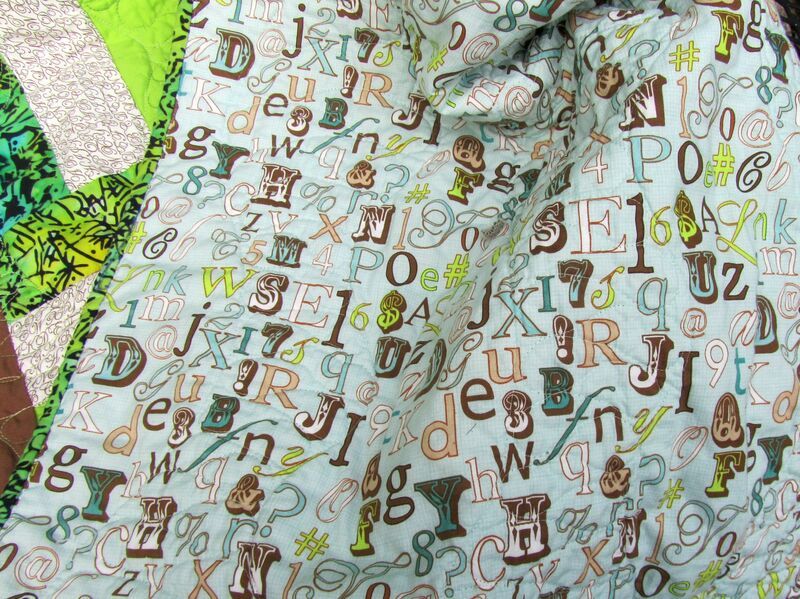 This rail fence quilt used 7.5 yards, and I didn’t buy any new fabric. Today I finished this quilt, destined for donation. I made it to use this backing, which I like a lot but for which I have never found a use. I also wanted it to be in “boys” colors, since I have plenty of florals to donate. I quilted it with wavy lines, but I didn’t think they were enough, so I added these flowing lines between each set of vertical waves. I knew they had a name, and my friends supplied it: ribbon candy! Even more fun than quilting them. 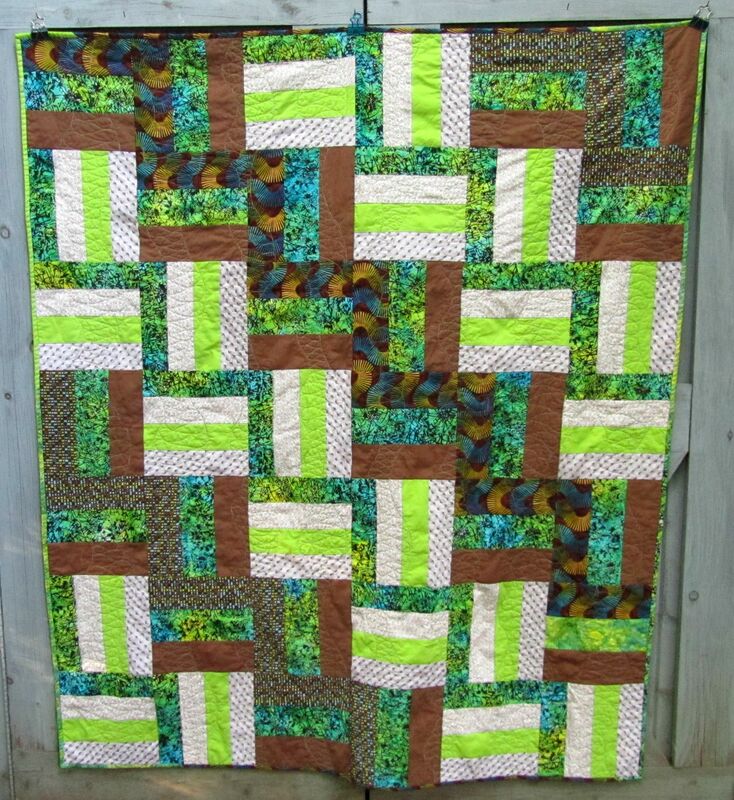 I used Superior’s So Fine thread in a variegated light green. There are two different blocks, one with three patches, and one with four, just because I wanted to mix it up a bit. I still think that has potential, though it isn’t great here. Doing this again, I would use the same fabrics (yum! ), but mix up the values more. I still like it, and I hope the recipient will, too. 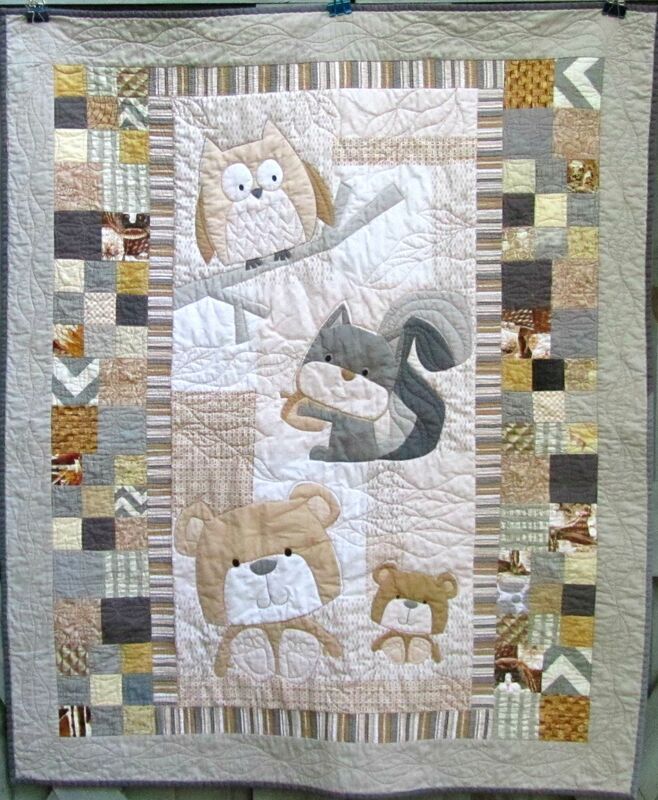 Categories: Finishes | Tags: Evening in the Garden, rail fence, ribbon candy, so fine, superior thread, Valerie Root | Permalink. 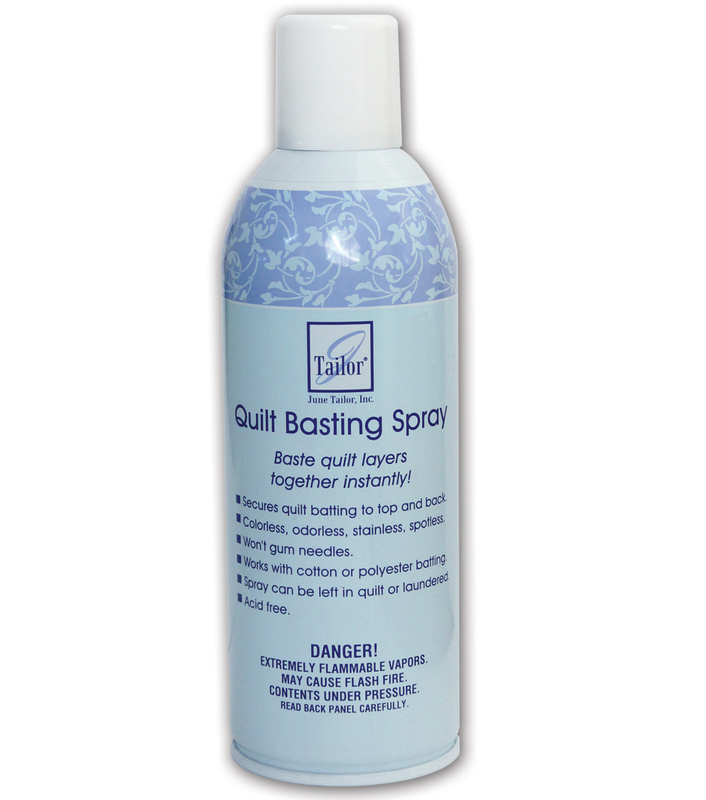 I just spent ten minutes basting my newest quilt, and, as always, I gave thanks to the inventor of spray adhesive. 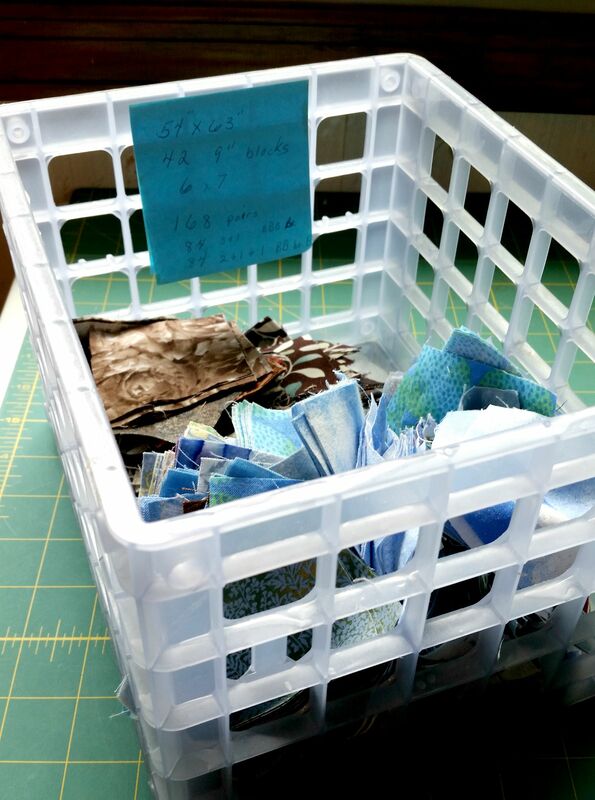 Without it, I wouldn’t be making many quilts. My back just won’t take leaning over a table, never mind a floor, for the time it takes to pin baste a quilt. I have jars of the right kind of pins, but haven’t used them in years. I know some people can’t use spray baste because of allergies, and I’m really sorry. If you just don’t care for the smell or residue, I have some suggestions. I’ve tried three or four brands, but my favorite is June Tailor. Its cheap (50% off at JoAnn at the moment! ), it has less odor than some, and its not as sticky. It doesn’t gum up my machine needles, which I hate. The other important thing is that I don’t use much. 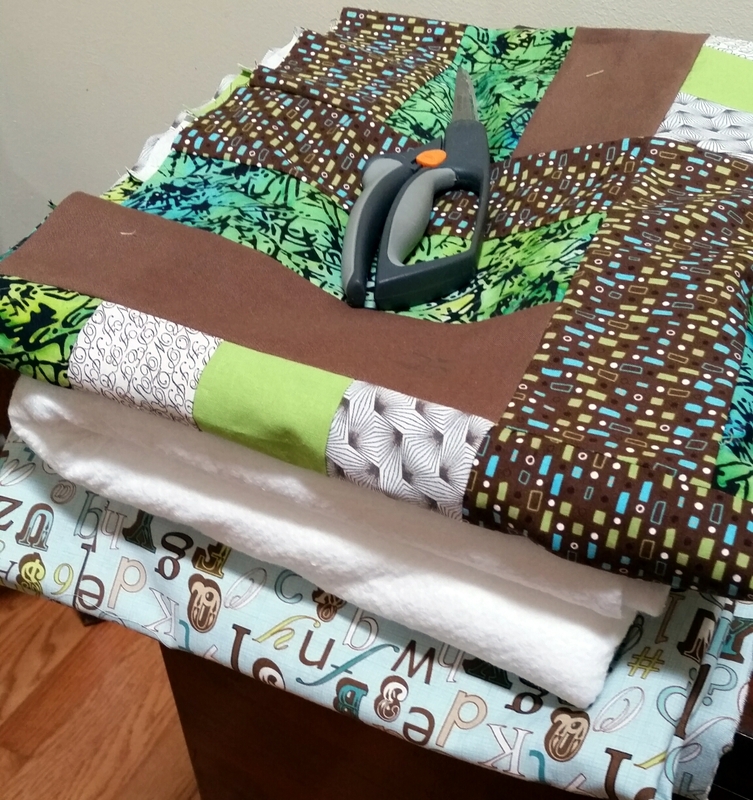 Lately, I’ve read bloggers talk about using a whole can for one quilt, or for three. I think that’s craziness! 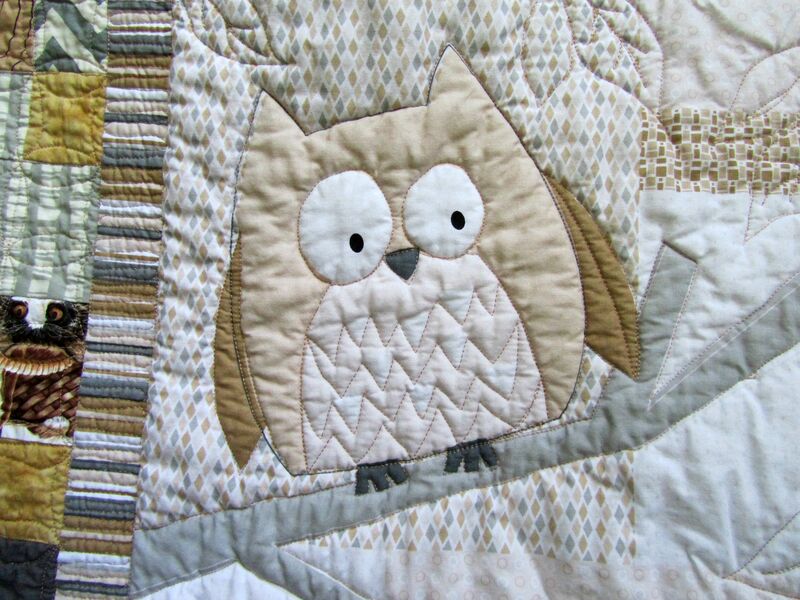 I can’t tell you how many quilts one can will baste if used lightly, because I use one for so long I lose track. My guess is fifteen to twenty. I shake well, then make a single light, zig zaggy pass over the backing or the batting. That’s all it takes, and I don’t have problems with shifting. Today when I picked up my can, it was very light and I wondered if I had enough. Yep. 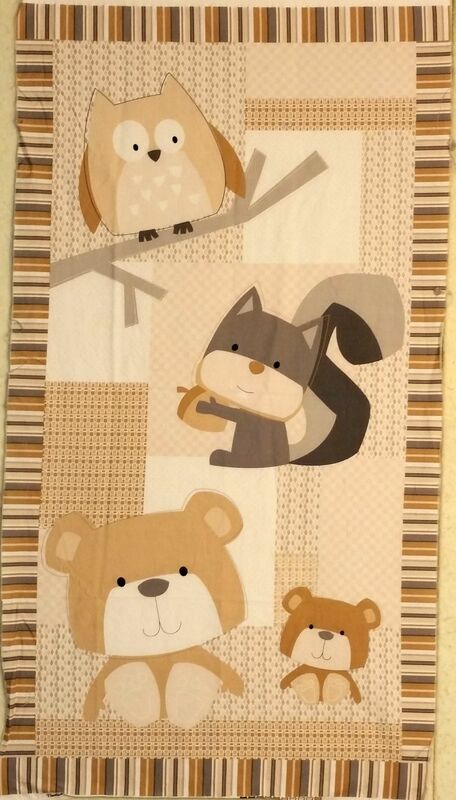 Can probably do the next quilt, too. Also, I don’t handle it a lot. I’ve read about basting, then turning the sandwich over to smooth the back. I don’t understand why that’s necessary at all. 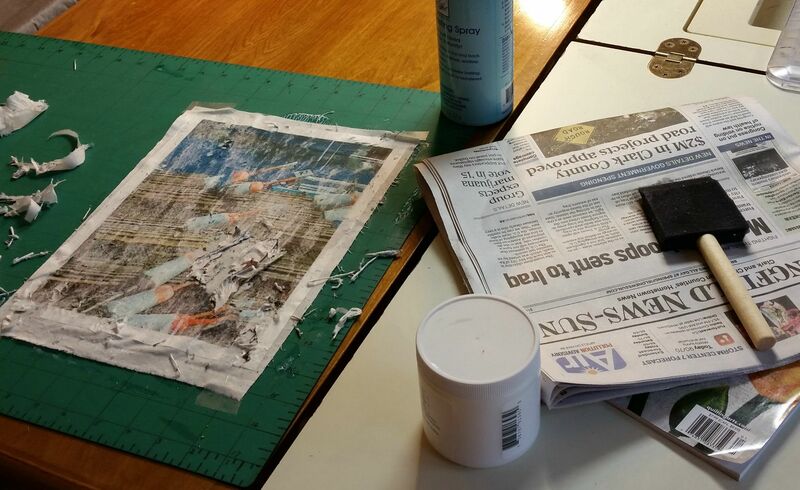 I tape the backing down to the table (floor), putting it under a little tension, so there are no wrinkles. I spread out the batting, pull half of it back, spray the backing with spray baste, smooth the batting back down, do the other half. Then I carefully arrange the top over the batting. I pull half of it back, spray the batting, pat, not smooth, the top into place, then do the other half. Then I remove the tape from the back, and consider where I will be starting the quilting. I won’t have another place to spread it out like this again, so I use the opportunity to roll it up from each end. Then I carry the “sausage” up to my studio and lay it on the sewing table. And, I love my ping pong table! I know a lot of you work in very small and/or crowded conditions, and my hat is off to you that you get anything made. My knees and back are long past getting down on the floor for any length of time. If I didn’t have my table, I guess I would cultivate a relationship with a community center, Y, church, etc., and push some of their tables together. But you can often get a used ping pong table at a garage sale, and they fold and stand upright, so you can keep it in the garage and open it in the driveway when you need it. Mine is in my unfinished basement, which has good ventilation. Did I mention I don’t use much spray adhesive? I’m still breathing. Really. Thanks for listening to my two cents on this. Now I have some quilting to do! 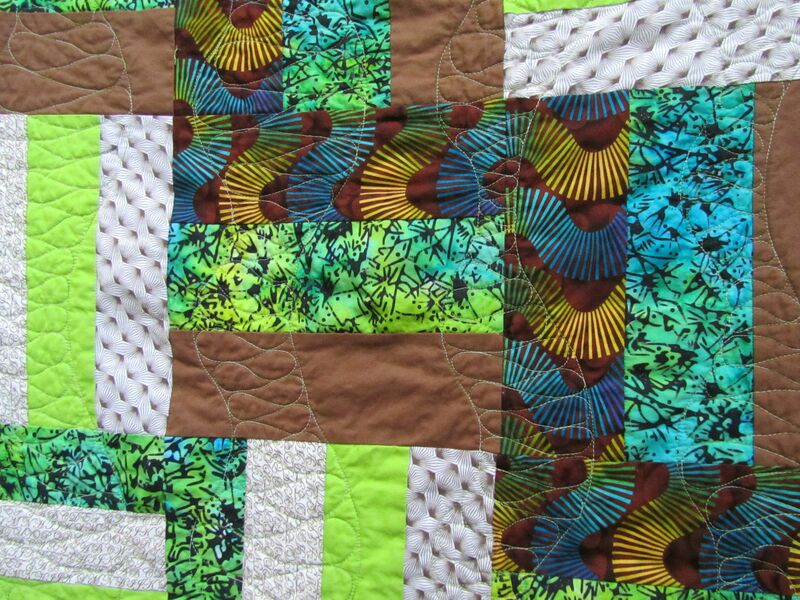 Categories: Uncategorized | Tags: Evening in the Garden, June Tailor, quilt basting, quilting, spray basting, Valerie Root | Permalink. That’s good, because while traveling, I bought four yards of batiks at Patchwork Plus, Dayton, VA. Creeping along toward my goal of destashing 50 yards this year. Good luck on yours! 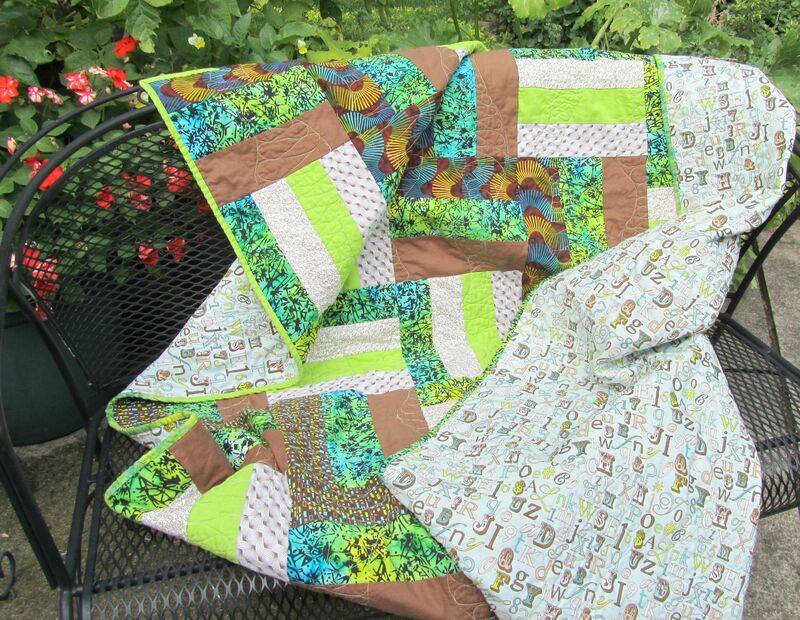 I’m joining Val from Val’s Quilting Studio again this year in her Piggy Bank Savings Money for Quilting Challenge. The picher is ready! 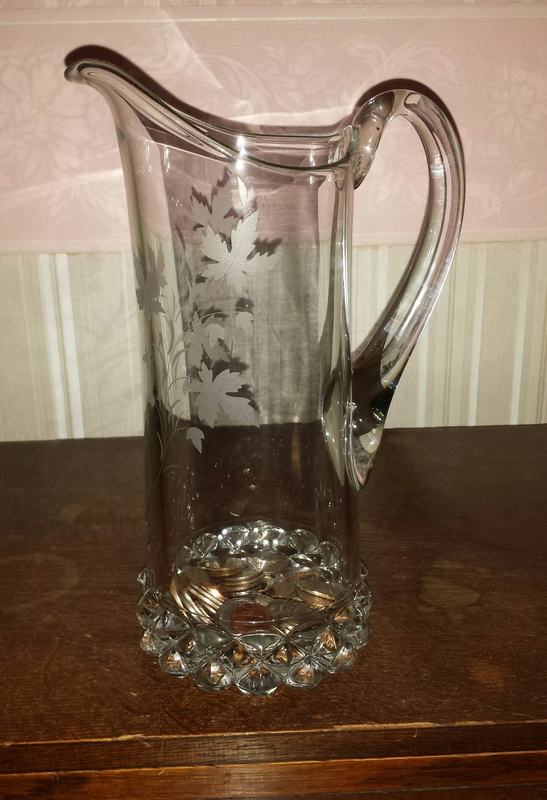 Good luck on your savings project!